The Makers Lab is hosting an art show, featuring the art and projects created by the UCSF community in the Makers Lab. All mediums and creative projects are welcome, just as long as a portion was created in the Makers Lab! Stop by anytime between 5-8pm to see the creative-side of UCSF. 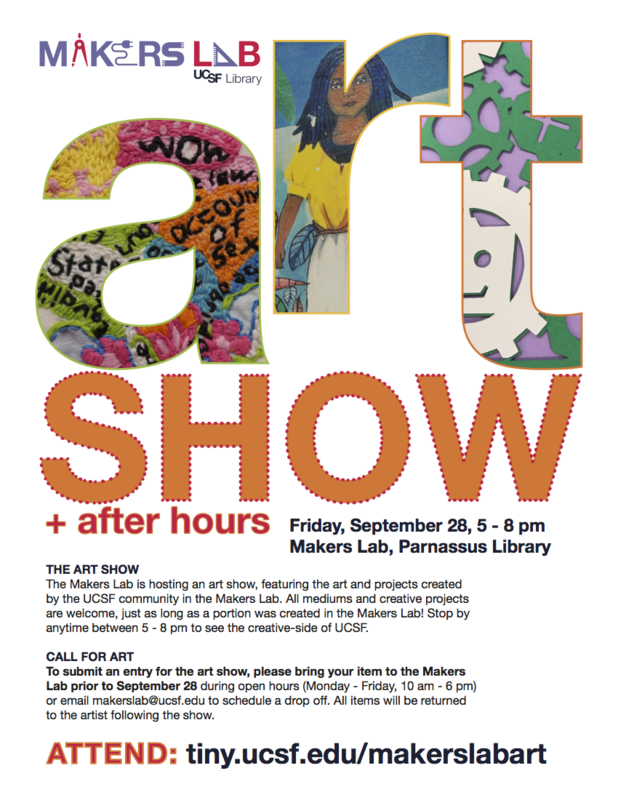 To submit an entry for the art show, please bring your item to the Makers Lab prior to September 28 during open hours (Monday-Friday, 10am-6pm) or email makerslab@ucsf.edu to schedule a drop off. All items will be returned to the artist following the show.